This article is cont­ributed by Leafly, the world's largest cannabis information resource. For more information please visit Leafly. Rolling papers have come quite a long way since their beginnings in 18th-century Spain. Today, cannabis enthusiasts everywhere revere the rolling paper as a preferred vehicle for their cannabis enjoyment. What was once a market solely for tobacco users has now grown significantly with the onset of a new generation of cannabis enthusiasts. Varieties of unique papers have begun to flourish as papers themselves have grown to be more than practically functional; instead, they are now the new fashion accessory. Looking to spruce up your rolling game? Check out these five cool, unique rolling papers to try out the next time you're passing a joint amongst your friends and want to spark up a conversation in addition to your quality bud. 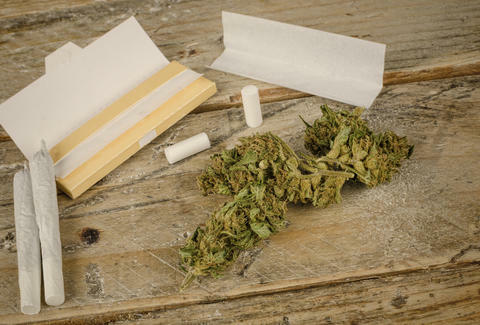 What the Hell's in a Pre-Rolled Joint, Anyway? If you're lucky enough to come across a pack of Lift Ticket's medicated rolling papers the next time you're in a California dispensary, be sure to snag one quick. These rolling papers are actually infused with high-quality hash oil, giving both a flavor and medicinal boost to your joint. They're made from all-natural hemp and come infused with award-winning hash oil from some of California's top processors. 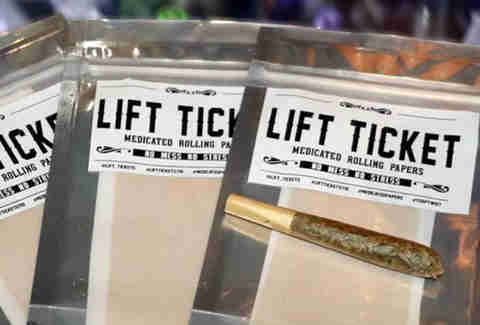 Lift Tickets come in single and double packs as well as pre-rolled varieties in some locations. These medicated papers are a great option for anybody who likes to add a cannabinoid boost to their joints but doesn't want to go through the potentially messy hassle of handling the hash oil themselves. There really isn't anything quite comparable to the artistry and sophistication that encompasses the Shine 24K gold rolling paper line. Fashioned with 24-karat gold, these rolling papers offer a unique way to bling out your joint. Just 12 of these ultra-premium papers will run you $55, although two-sheet packs are sold for a more manageable $20 price tag. 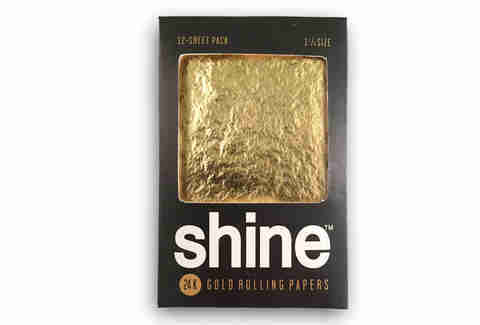 Shine also offers pre-rolled gold cones to make your rolling experience as easy as it is luxurious. The hemp-blended papers make these joints burn slower and last longer, letting you soak up every last bit of the attention your sweet golden joint will land you. Juicy Jay's offers a truly unique experience with its line of well over a dozen fully flavored rolling papers. 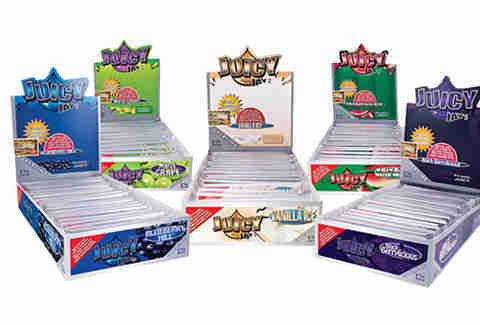 Several companies offer flavored options for rolling papers, but what makes Juicy Jay's papers so unique is its "triple-dipping" system that fully flavors the entire paper and not just the tip. The insane collection of flavors includes Jamaican Rum, Peaches & Cream, and even Mint Chocolate. Juicy Jay's also offers its papers in pre-rolled cones to give you a nice break on your fingers. Available both in 1-1/4’" as well as in king size, these hemp-based papers will impress your friends at both ends of the tolerance spectrum. 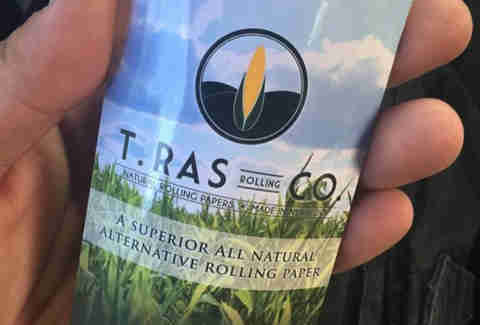 T. Ras Rolling Co. has developed a truly unique product with its signature corn husk rolling papers. This New York-based company came up with the "corny" idea from a family member who used to roll his cannabis up in corn husks back in the day. Manufactured using 100% natural corn husks, these papers are pre-cut and measured to provide you with an experience unlike any other. Each pack comes with a small spray bottle as you must apply moisture to the entire paper before rolling. Corn husk papers burn slower and more evenly while offering a neutral-tasting smoking experience, allowing you to enjoy the natural flavor profile of your herb. T. Ras papers are ideal for those wanting to supercharge their joint with extracts because the corn absorbs the oils, preventing them from dripping and burning away. CBD Is Weed's Secret Weapon. Here's Everything You Need to Know. 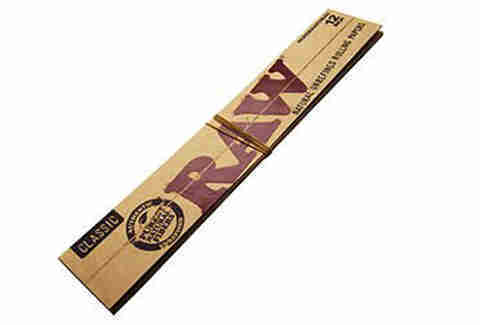 RAW may just be the most notorious rolling paper brand on the market today. No other company can compete with the level of innovation coming out of the RAW line of products. Its entire catalog of unrefined natural products offers a solution for any rolling paper need. Among the more unique rolling paper varieties is the behemoth RAW Supernatural cone. Compared to its next largest 7.25" cone, this colossal contraption measures out a whopping 12in. Invite all your friends over, because this bad boy was built for sharing. Not big enough? Raw Supernaturals are offered in 12" sheet packs so you can combine your forces to make one ultimate gargantuan joint to rule them all! This article was originally published as "5 Cool Rolling Papers You Have to Try." For this and more articles on cannabis news and culture, visit Leafly News.